Two of Labour’s most high-profile politicians have condemned abuse directed at BBC political editor Laura Kuenssberg after reports she had been assigned bodyguards to cover the party’s conference. Former deputy leader Harriet Harman said Kuenssberg was a “superb woman journo” while Shadow Home Secretary Diane Abbott said abuse directed at the political editor was “wrong”. Harman also called on Labour leader Jeremy Corbyn to condemn the abuse in a tweet that included yesterday’s Times front page picturing Kuenssberg with a man the paper claims is a security specialist. It followed a Sun on Sunday story that said Kuenssberg had been assigned close protection at the conference owing to online abuse. Kuenssberg has frequently been the target of online trolls who claim her reporting is bias. The BBC has declined to comment on the reports, saying only: “We do not comment on security issues.” Kuenssberg herself has made no comment. Good Morning Britain presenter and former BBC journalist Susanna Reid tweeted that it was a “terrible situation for Laura to be in”, adding that she was “an outstanding journalist”. The Society of Editors has called on the Labour leadership to condemn threats of violence and verbal abuse. 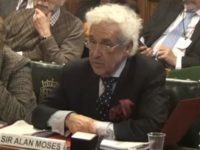 “It is appalling that any journalist should face threats for going about their legal business anywhere in the world, but for it to happen here in the UK to such a high-profile figure is very concerning,” deputy executive director Ian Murray said. 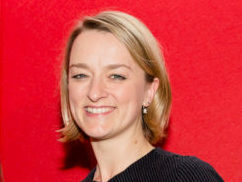 Kuenssberg was named Journalist of the Year at the British Journalism Awards 2016 (pictured top). Laura Kuenssberg has campaigned vociferously on behalf of the Conservatives ever since Labour chose Corbyn to be leader. She has tried without doubt to be the Ken Wood of politics. If you disbelieve me look at those who are employed within the BBC hierarchy. Many ex Murdoch welcomed by those who were ex Murdoch. It is the same mind-set repeated over and over. Which is why they just cannot understand why Corbyn became leader, stayed as leader, and rocked the election this June. I don’t wish Kuenssberg to receive harm and those that defile her, insult her, and threaten should be brought to account. But I have no sympathy for he. She is not a journalist. This is solid proof that she’s doing a brilliant job. There’s no higher compliment that the Labour left can give you.